Stuart Grant has been working in the Radio, Music and Entertainment business for over 20 years Stu is currently owner and director of a successful Mobile Technology and online agency. Go Do World builds Mobile Apps and a range of other digital products. Stuart is Group leader for 4Networking.- An innovative networking group which generates new business and leads for businesses. He currently leads Norwich South. Stuart is also a Property developer and operates and owns 4 properties. Stu was part of The Stuart Grant Breakfast show on Kiss Fm for 10 years as a DJ, taking the Station to its Highest ever listening figures. He also led the station when it was formally known as Vibe Fm for a number of years as Programme Controller. 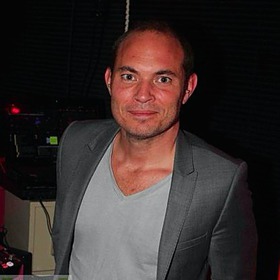 Stuart then moved Heart Sussex and Surrey as managing Editor and programming consultant, and then moved on to work in London again for Global radio running Choice Fm and Capital Xtra as Managing editor. Under Stuarts' leadership, Choice FM achieved its highest ever figures in its history achieving over 680,000 listeners in London. Heart also saw huge growth in listeners while Stuart was leading the station. Stuart Grant is also a club DJ in various clubs across the East of England. Stu appears every Friday and Saturday at Flex Night Club Bury St Edmunds. He produces a live mix weekly which is published on his Mixcloud page. You can access that HERE to have a listen! - The New mix is there now! Stuart Grant loves Dogs! And has just adopted a new puppy called Dora.. She is a black Cockapoo (Cockerspaniel and Minature Poodle Cross!). She really is aDORAable but is also a little minx! She even has her own instagram account, check it out HERE! Stuart is a author/writer and in the process of publishing his first book, with a second to follow to very soon. The book is called "These Foolish Things" and is coming a device and a bookshop near you soon! Go·Do World also help business's optimise their social media and digital presence, and help to build mobile optimised websites. Stuart is an official Apple and Android developer, Authorised Layer (AR) developer and qualified in Social Media for Business to a level 3. Various cover shift and own show coming soon! Responsible for Managing the Team Members in all the groups and for running the meetings. Stuart oversees as aspects of the group, from Welcoming visitors, Booking speakers, some Marketing and various other duties. Norwich South and Norwich West meetings. Go Do World is a digital agency that creates mobile apps for companies who want to become part of the mobile revolution. Stuart Grant is responsible for running the agency, marketing, selling, budgeting and strategy. Customers include Jimmy's Farm, lowcostholidays, Tim Westwood, and many others. Coaching talent, sales and promotion, programme content, management, budget, rajar analysis, music playlist selection. Stuart has a keen interest in Mobile Technology and design. He is skilled in Photoshop and mobile app design. One of his first loves is Radio and he has been involved in broadcasting for over 20 years. Stuart has worked for Bauer and Global radio, the two biggest media and radio broadcasting companies in the UK, with huge success in both companies. Stuart's love of radio comes out of a love for entertainment and music. As well as DJing regularly in nightclubs, he also plays and records on one of his other loves; his Piano and Keyboard. His favourite kind of music is soulful, vocal piano house. But is a big fan of all kinds of genre's, from Dance, to Rock, to indie. Stuart also enjoys writing fiction and has two books in production. He is also a great lover of reading (The Art of Racing in the Rain- being his latest read and Make Me by Lee Childs) Favourite Authors: Lee Childs, Harlan Coben, Mark Dawson, and Dan Brown. He is an animal fan and is about to get a new puppy! Stuart had a dog for 13 years called Leia (yes, the princess!) He also enjoys fitness and the gym and can often be found either on his bike, or at the gym in between meetings and work! Stuart loves the Movies and is addicted to the cinema. Favourite Films : Lucky Number Slevin, Star Wars (obviously) And Point Break. Stuart also tries to get involved in charity and is currently involved in a project for EACH Children's hospice in East Anglia. He is also helping to raise money for The Hamlet Centre in Norwich, a centre that looks after children with learning difficulties and disabilities. When he's got any time left he loves swimming, sleeping, dining out, and cars and is planning to buy an Aston Martin, his dream car sometime soon! On the side, Stuart is also interested in Egyptology and anything to do with Space and Cosmology. Stuart can also juggle! Other things Stuart has taken part in include; Jumping out of a plane for charity (with a parachute) Jet Ski-ing around the North Norfolk coast, Water-ski-ing, a 10K run and 50 Mile bike ride! Stu loves a hot sunny holiday and has been all over the world, including America, Brazil, Australia, most of Europe, India and Africa. He recently returned from a trip to Australia (his 7th time!) Stuart Grant has also just adopted a new puppy called Dora! His life will never be the same!